Thurston County educators are working hard to build a bridge between the world of learning and the world of work. 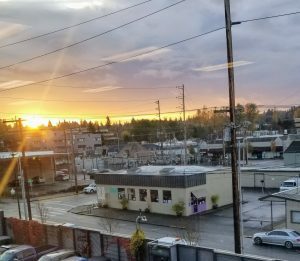 On February 13, attendees of the Thurston Chamber’s Annual Education Summit and EXPO will learn how local schools are preparing students to enter the workforce—ensuring that schools are training the next generation of employees for today’s jobs. We’ll also hear from business owners about the skills they want new employees to have in order to be successful at work. We’re excited to announce this year’s keynote speaker, Suzan “Suzi” LeVine, commissioner of the Employment Security Department of Washington State. 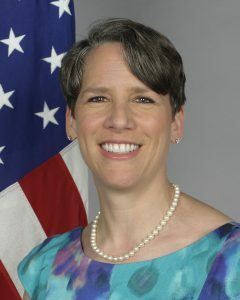 Prior to her role as commissioner, LeVine served as the United States Ambassador to Switzerland. LeVine is a respected thought-leader in redefining and rethinking our education and workforce systems to ensure economic security for our workers and companies. During her talk, she will explore ways business, industry and the trades can partner to enhance our students’ career pathways. Forum will be entertaining, engaging and interactive and includes an Education EXPO for educators to connect with the Forum attendees and the business community. The EXPO will be available starting at 11 a.m., highlighting what schools in our Thurston County schools are teaching students. Come and find out what is going on in education! We’ll have over 20 exhibitors. This event begins at 11 a.m. at South Puget Sound Community College, Lacey Campus. Forum includes lunch and is $35 for general admission, $25 for prepaid Chamber members and $30 for members at the door. Visit thurstonchamber.com for tickets and additional information. The Chamber encourages advance registration for the Education Summit & EXPO. Thank you to our sponsors, Boys and Girls Club of Thurston County, South Sound Parent to Parent, Morningside, Saint Martin’s University.